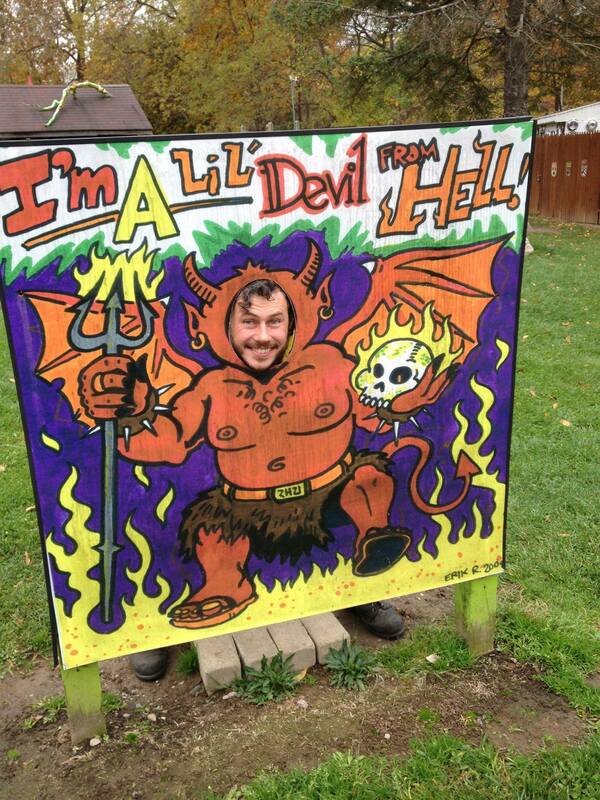 The Capital City Cyclotrons held their third annual Hell ride on Saturday, October 18th. 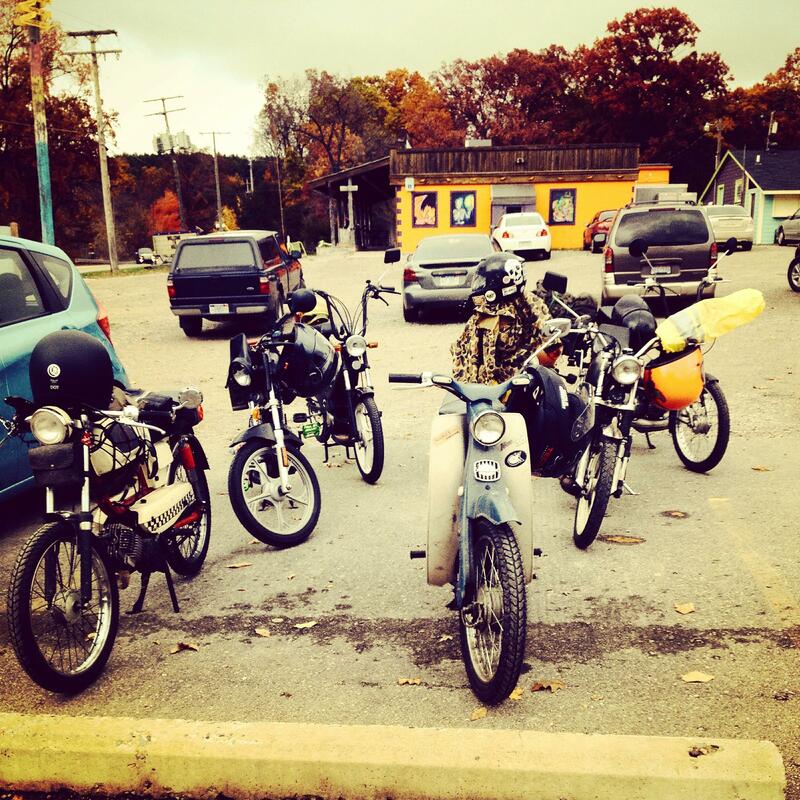 After meeting up at Quarterkick, the KMR contingent (Chad, Dennis, and Gee) loaded up the bikes and headed for Lansing. The weather was not entirely cooperative; it was cold and there were patches of rain, but the dedication prevailed and everyone had a good ride…except for that one point where Gee dumped a tube of oil into his tank and pretty much fouled a plug immediately. After dinner, KMR packed the rest of their stuff into Chad’s truck and after wedging Dennis in the back seat, headed back to Kalamazoo.